The apartment is located in the Fermes de Sainte Foy apartments, a recently-built, traditional style development in the center of the resort :The centrally located apartment is immediately below the nursery slope with all amenities nearby: shops, bars, restaurants, a grocery, a bakery, the ski-pass shop, spas and laundry are all in close proximity and the ski school is just a short walk. 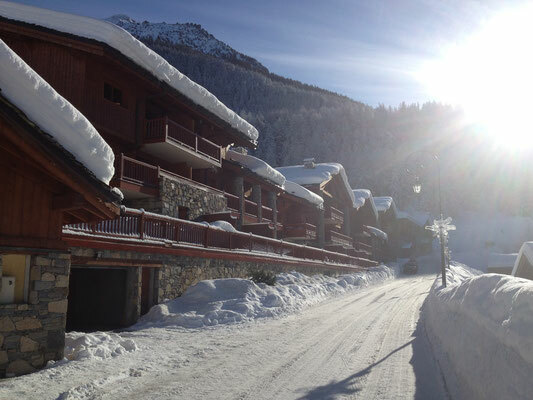 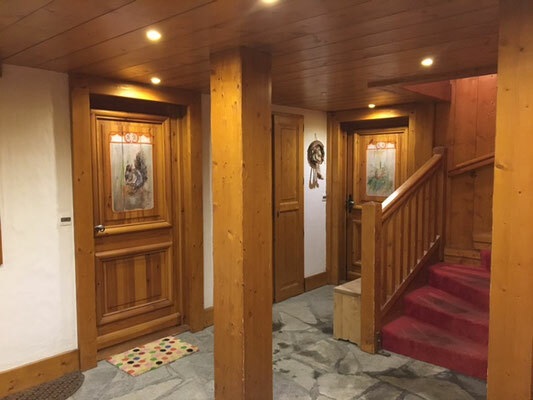 Nested on the snow front just 100m from the chairlift, this apartment is a quiet haven of peace in the heart of St Foy, whilst only being minutes from the slopes. 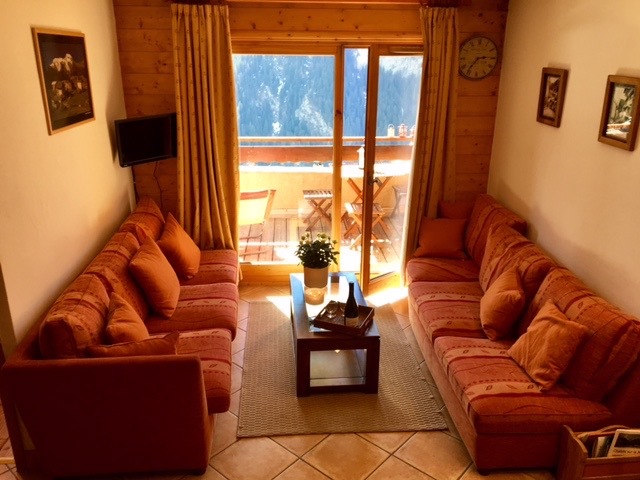 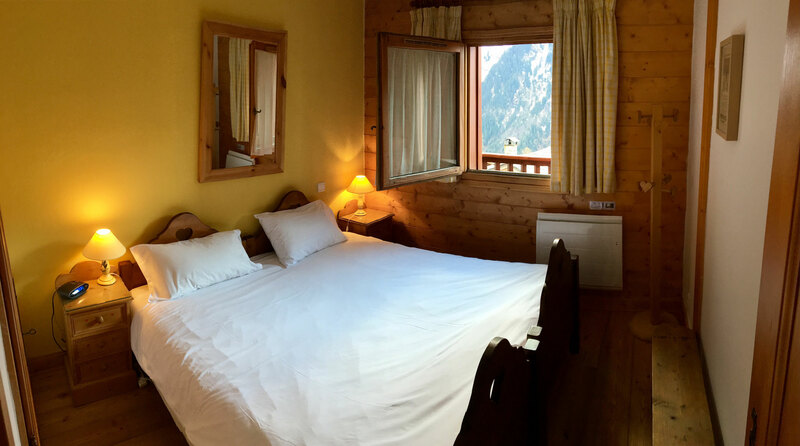 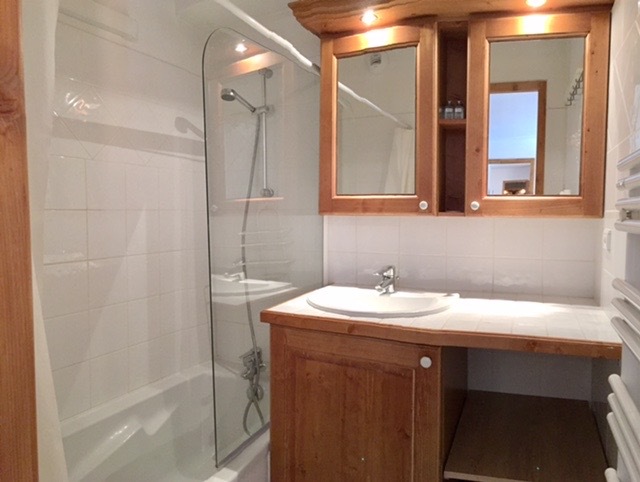 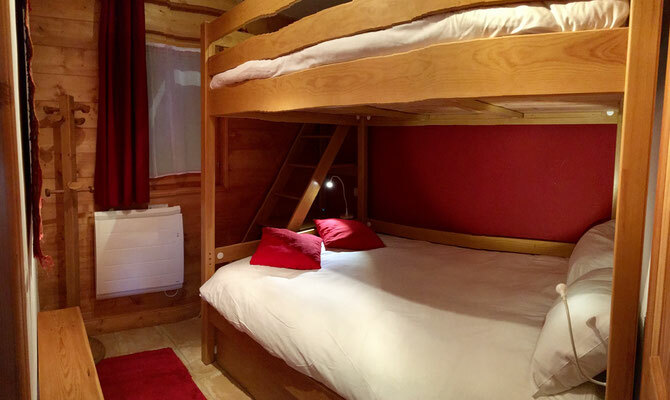 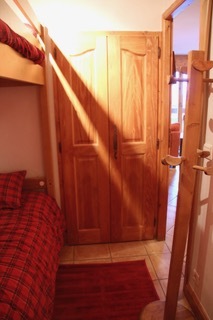 The accomodationIt's a charming first floor apartment with spectacular views S/W across the Tarentaise valley to the Aiguille Rouge and Mont Pourri. 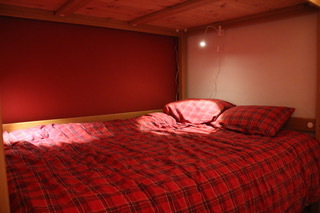 -Open-plan living with two large sofas, flatscreen TV/DVD player, freeWIFI internet access and dining table for 6. The living area leads out on a spacious balcony with stunning views. 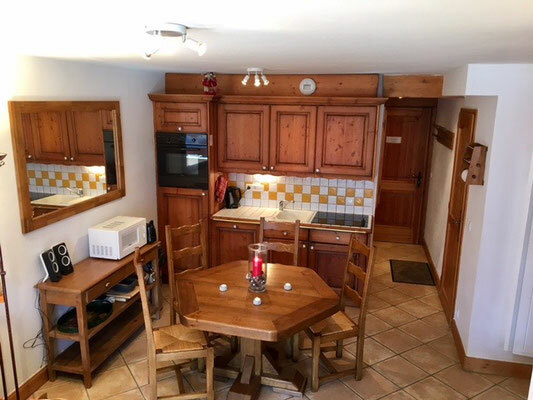 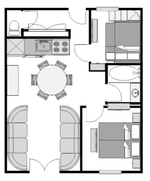 -Well equipped kitchen area with hob, oven, fridge/freezer, microwave, dishwasher, expresso machine. 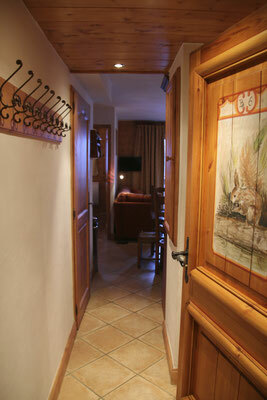 -Private covered parking space under the apartment upon request. 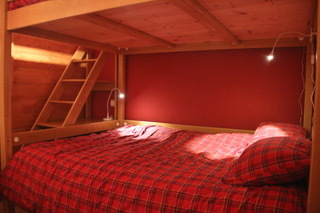 -Sheets, linen and towels included. 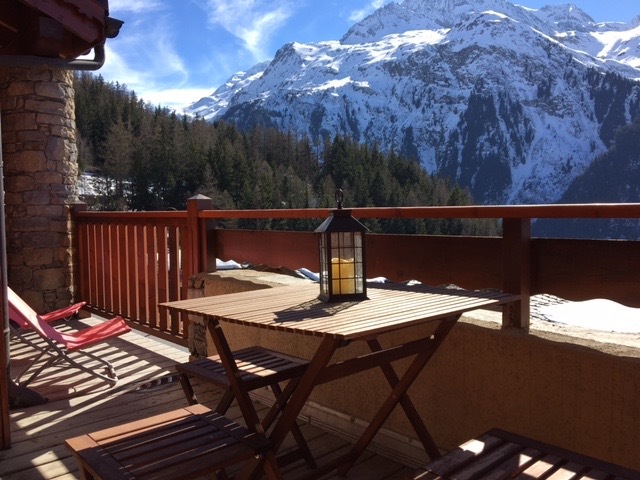 -End of week chalet clean included.